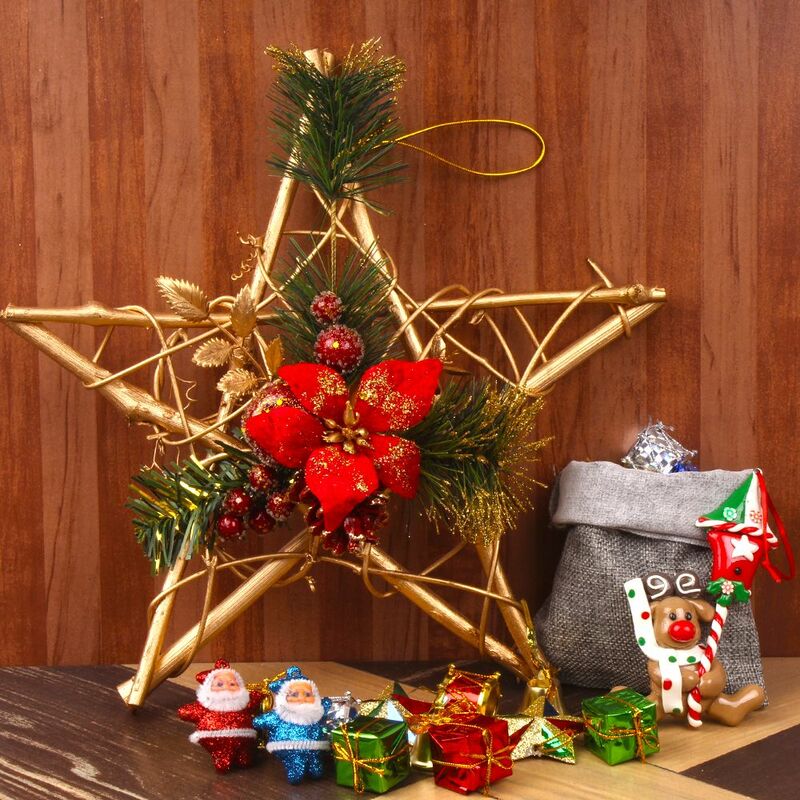 Product Consist : Star Wreath along with Jute Bag filled with Exclusive Christmas tree Ornaments like tiny bells, gift boxes, drum, stars, small Santa small toy. India is country of celebrations where people are joyfully celebrating the all festivals. 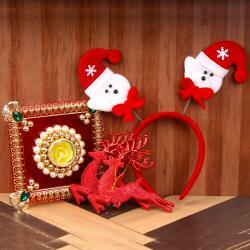 Christmas is one of the festivals which also celebrate very enthusiastically by Indians. Here we present the exclusive Christmas decorative combo which contains the Star Wreath which comes with star shape with flowers with greens with some red berries. 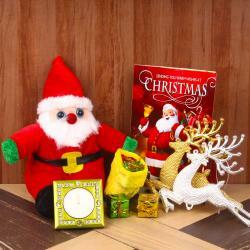 This Hamper also includes the jute bag which filled with exclusive Christmas tree ornaments like tiny bells, gift boxes, drum, stars, small Santa and many more. This is one of the complete decoration combos you ever get online. 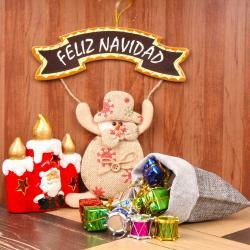 Product Consists : Star Wreath along with Jute Bag filled with Exclusive Christmas tree Ornaments like tiny bells, gift boxes, drum, stars, small Santa small toy.